Call it a sustainability program, an energy initiative, or “going green.” Whatever name your school uses, most boarding schools today are focused on reducing their environmental impact. School buildings (and their occupants) use a huge amount of energy and—because of their added energy demands—boarding schools use more energy than non-residential schools. When it comes to environmental sustainability, boarding schools face unique challenges. While green initiatives typically involve actions from the entire school community, facilities professionals are often charged with helping the school meet energy goals. From building age to regulatory compliance, facilities professionals face many challenges in fulfilling those expectations. For students and staff, “going green” usually involves recycling, composting, and being mindful of water and energy use. For facilities professionals, the tasks are more complex. Boarding school sustainability plans usually include actions such as recommissioning existing buildings, upgrading lighting technology, implementing building controls, and looking for electricity saving opportunities. While each of these plays an important role in reducing energy consumption, it’s stunning how often mechanical insulation retrofitting fails to be included in these plans. Mechanical insulation is one of the fastest and most cost-effective ways to boost energy initiative progress for boarding schools, all while saving energy and reducing energy costs. For most schools, mechanical insulation is out of sight, out of mind. It’s something that is rarely considered, despite the fact that it has an enormous impact on energy and cost savings. The National Insulation Association estimates that between 10-30% of all installed mechanical insulation is missing or damaged. This means that facilities are missing out on between 10-30% of the energy and cost-saving benefits from their insulation. Basically, their original insulation investment has been wasted. Because of the age of many of the buildings, boarding schools are particularly susceptible to missing or damaged insulation. Over time, mechanical insulation suffers from normal wear and tear, gets removed by other trades, or fails to be repaired or replaced after damage. Even if mechanical insulation exists in boarding schools, it is often not in peak condition, and so it loses its value. First, does your facility have mechanical insulation to begin with? Performing your own energy audit on your boarding school facilities can be challenging, especially with the limited time and resources of your maintenance staff. NCMI performs professional insulation energy audits that give schools a firm understanding of how much money and energy they can save by upgrading their insulation systems. 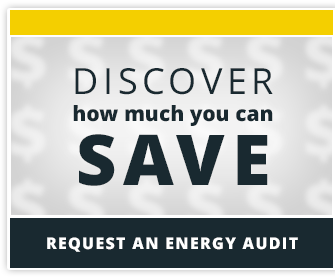 Contact NCMI to schedule your own energy audit today.